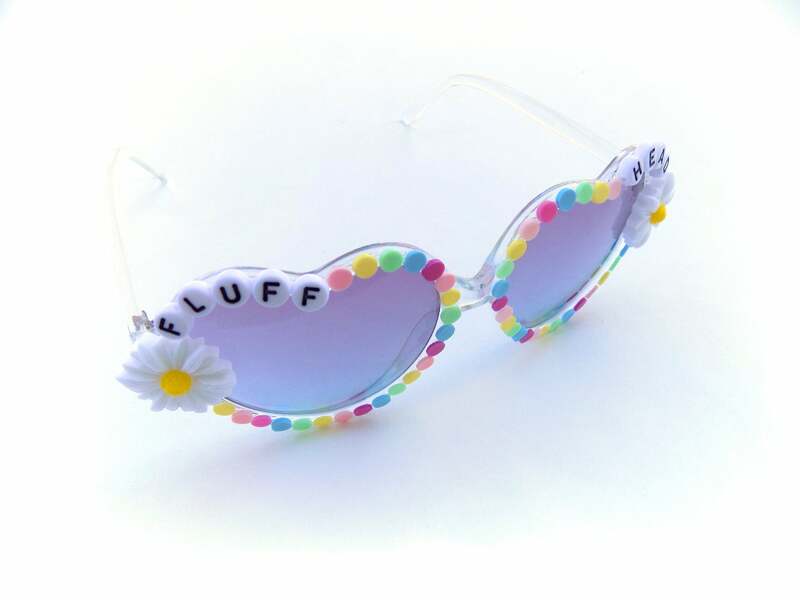 These heart-shaped glasses have been decorated with the words "Fluff Head" and a daisy on each side. Little multicolored candy dots adorn the rims. 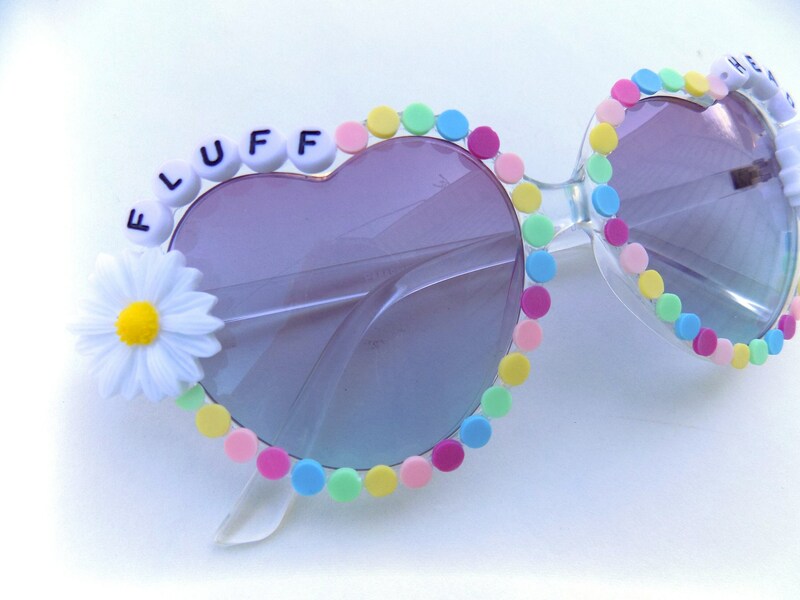 Frames are plastic with mirrored light purple tinted lenses. 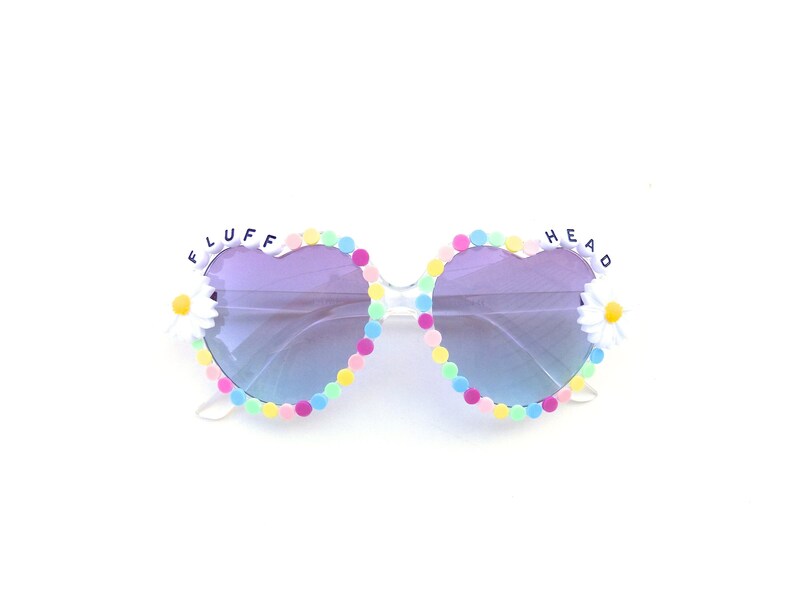 These light lenses are perfect for nighttime and indoors! All decorations are secured using industrial strength glue; built to last!